Millennials, people born between 1980 and 2000, are often portrayed as selfish, entitled, and fickle. The 2015 Millennial Impact Report’s Research Team thinks so. 84% made a charitable gift in 2014. 22% gave though employer solicitation. The remaining 78% donated to causes on their own. They are more likely to give when their peers ask them to on a personal level. More than 50% donated to a cause their company isn’t associated with because a co-worker asked them to. 27% said they are more likely to donate to a cause if their supervisor does; while 46% are likely to donate if a co-worker asks them to. 43% would be more likely to give if competition was involved. 69% would be more likely to give if their company matched part of their donation. 70% volunteered at least 1 hour in 2014. 31% volunteered 11 or more hours. 77% prefer to volunteer with fellow employees, rather than volunteering on their own. They are more likely to volunteer if they can leverage their skills or expertise. 79% who volunteered through a company-sponsored project felt they made a positive difference. Competitions and incentives can inspire short-term engagement, but Millennials want to how their donation or volunteer hours made a difference. Company causes are a great way, but not the only way, to engage Millennials. Nonprofits need to know WHY Millennials care. Is there a personal story that connects them to you? Find ways to connect their passion to the work you do. They care more about the cause than the organization. Millennials love to raise money for causes they love. Nonprofits, think crowdfunding! Create opportunities for them to partner with you to raise money for a project they care about. Cultivate competition around giving campaigns and volunteer projects. Name recognition and prizes are valued incentives. Don’t be afraid to share the results on social media. Nonprofits need to think beyond painting and gardening projects. Skill-based volunteer opportunities like helping you tell your story through social media campaigns, video creation, marketing campaigns, and website updates are more attractive and maximize the value of their experiences. Matching gifts motivate Millennials to donate. Ramp up your fundraising by securing matching gift funds for their projects. Show them how their donation or volunteer service made a difference! Recognize their service and generosity. Send a letter to their employer. Speak about their generosity, skills, and willingness to work hard. This is an opportunity to tell your story and impact while congratulating them for employing a terrific worker. Rethink volunteer policies on engagement so you can tap into short term volunteers. Can you structure off-site opportunities that allow them to do a project without incurring the cost of background checks? Create a “Corporate Giving” Kit. Ask volunteers to give it to their employers. Include information on how they can build a culture of philanthropy by partnering with you to make a difference in the community. Emphasize what’s in it for them and the potential impact they could make, rather than focusing on your organization. Cause Marketing will continue to grow as Millennials grow in numbers in the workforce. Offer workshops to teach companies how to create a “Give, Serve, Inspire” campaign and create a culture of philanthropy. 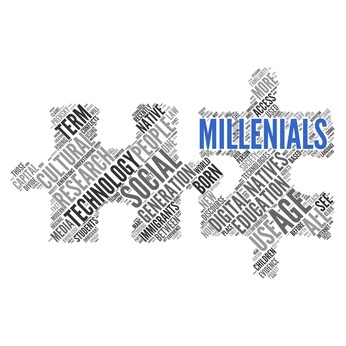 Find ways to engage Millennials through advisory councils, board membership, etc. They can be very influential voices for your cause. I’d love to see data to help us answer this question because the cost of engaging Millennials is high relative to their capacity for giving. Download The Millennial Impact Report here. Rachel Ramjattan, CFRE has worked in the nonprofit sector for more than 20 years. You can find her on Twitter at @RachelNPP or rayramj@yahoo.com.